Yesterday, as we're sure you all noticed, was that annual day of tomfoolery and japing, known as April Fool's Day. It's a chance for the world to take a step back, take itself less seriously and then annoy the crap out of its co-workers, friends and family with bare-faced lies and ridiculous behavior. This year, as usual, the world of music joined in. Here are the best and worst pranks. Parsons-engineered quadraphonic LP mix of Dark Side, but it will work with the album on any format." USA Today happily reported that: "Flaming Side of the Moon also works well as accompaniment to the 1939 movie, The Wizard of Oz." The real punchline? This thing actually exists (see video). Admittedly, we don't expect much from the trashiest of the British tabloid newspapers, but the Daily Mirror reported yesterday that: "Dictator Kim Jong-un has BANNED One Direction from entering North Korea -- unless they get their hair cut. The tyrant has demanded the boys opt for the short-back-and-sides hairdo he models if they want to play in his secretive state... And to challenge 1D's position as the world's number one boy band, the despot will launch an X Factor-style competition show to find his own band -- dubbed Un Direction." Congratulations, crap newspaper: you just exposed just how dumb you think your own readership is. Taking advantage of all of the speculation and anticipation that occurs at this time of year before England's legendary -- and indie-leaning -- Glastonbury Festival, eFestivals announced yesterday that, this year, Metallica would be headlining. The story used quotes directly from the organizer of the festival, who claimed that to make the metal band more palatable for Glastonbury's usual crowd, Metallica would be playing a set exclusively made up of Kate Bush covers -- which didn't seem immediately unbelievable after the disastrous Lulu album. The site didn't keep up the joke for long though -- the story ended: "Some or all of the above may or may not be completely accurate. Check the date." A chef in Atlanta, famous locally for owning and running five very posh restaurants, was reported to have signed on to become Justin Bieber's personal chef yesterday. We enjoyed the prank initially thanks to Atlanta Magazine's description of the food, which beautifully nailed the pretentious nature of high-end dining: "The spirit of Bieber's personal menu, according to Fry, will channel 'adolescent sentiments' and 'general angst.' Think dark chocolate cotton candy made with Peruvian cocoa powder, Lil' PB&J brownies, deep-dish pimento cheese pizza, and "Gangnam Style" charcuterie. (Fry would not elaborate on this dish.)" However, the website then went and ruined it by claiming Ford's band, "Five Bone Rack" would be opening for Bieber at a future concert. Know when a joke should end, people! The Guardian is a source of quality, objective reporting on both sides of the Atlantic, so when it reported yesterday that ultra-liberal Coldplay whiner Chris Martin was going to be supporting the UK equivalent of the Republican party, readers around the globe sighed, "So that's why Gwyneth is breaking up with him!" The joke became clear halfway through the article when The Guardian referred to Martin's "trademark cheeriness." 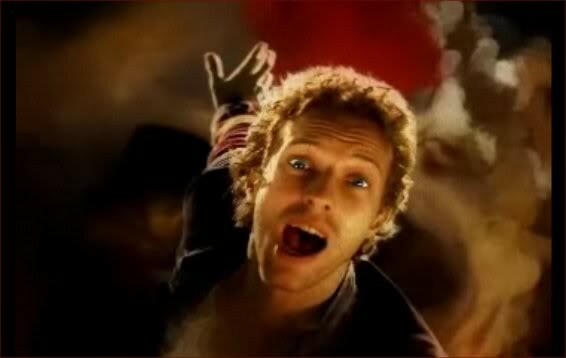 Let's just all be happy that Coldplay won't be recording an ode to the British Conservatives after all -- imagine the misery.